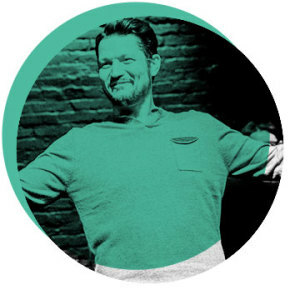 Washington Improv Theater's organizational training program, WIT@Work, delivers workshops that are engaging and effective. Our training shares improv principles and skill-building exercises that have powerful application in the work world. In addition to sharing key concepts and techniques in teambuilding, communications, and innovation, our training sessions also build camaraderie and deepen understanding among participants. The typical WIT@Work workshop is two or three hours in length, but we also lead trainings and events ranging from one-hour, team-building lunch breaks to multi-day retreats. If you’d like to get your team off-site for a change of scenery, we can host trainings here at the theater. Or we can come to you! WIT@Work regularly travels locally and across the US to lead improv-based trainings. Workshops can remain entirely content-neutral, or they can be custom tailored to fit and connect with larger events, special projects, or key challenges facing your group. We work with you to create a training that fits your time, budget, and goals. What are you looking to focus on? Improv-based training can help your team gain skills in communicating authentically and on-the-spot in high-stakes situations. Turn those moments of having to go “off-script” into moments you shine. What we do onstage amazes people. Improvisers make creative choices that get attention. We take things that don’t belong together, and somehow make their synthesis inevitable. It’s because we’re geniuses, right? YES! But guess what? You and your team are geniuses, too, and we can teach you how to put your brilliance to good use. What we do onstage amazes people. Improvisers make creative choices that get attention. We take things that don’t belong together, and somehow make their synthesis inevitable. It’s because we’re geniuses, right? YES! Not a lecture. Not more PowerPoint slides. Everyone is on the same team, and in the same boat. Participants learn about themselves and how they work in a team. NOT more sitting around a conference table. Taking risks and supporting one another builds confidence and good will. Your team learns more about one another as people, not co-workers. Your team helps articulate the lessons and their application to your work. Lessons can shift and evolve per the group’s discoveries and interests. It might FEEL at times like a ropes course, but there’s no actual physical danger – everyone participates at whatever level they are able.